Sac State junior forward Kennedy Nicholas shoots a right-handed lay up in a 77-76 win against Southern Utah on Jan. 19. Nicholas had 22 points and a career-high 20 rebounds (10 offensive) in the win. 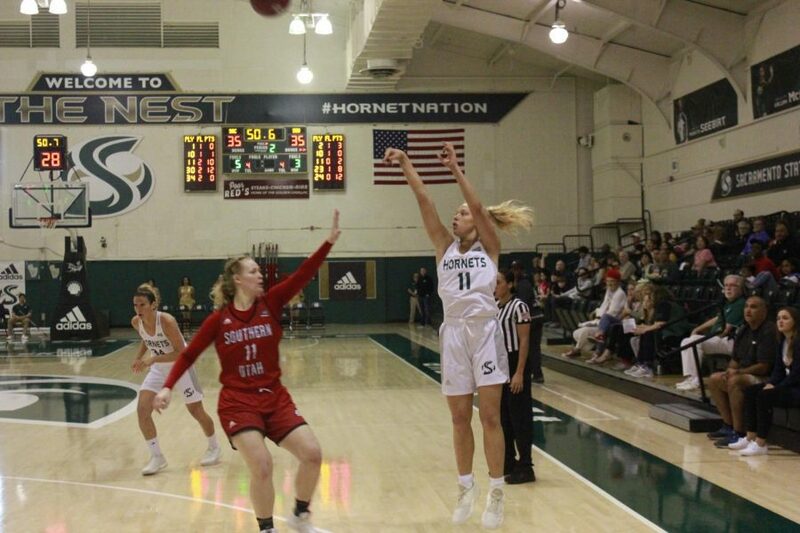 For the first time since Dec. 1, the Sacramento State women’s basketball team have won consecutive games following a nail-biting 77-76 win Saturday against Southern Utah. 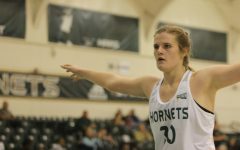 The Hornets (6-8, 2-4 Big Sky) and Thunderbirds (5-11, 2-5 Big Sky) played a very competitive game with 11 lead changes and 9 ties. 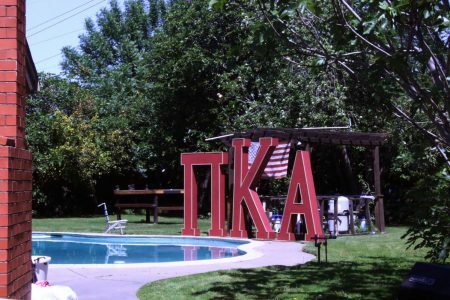 In the final two minutes of the contest, the lead changed five times. 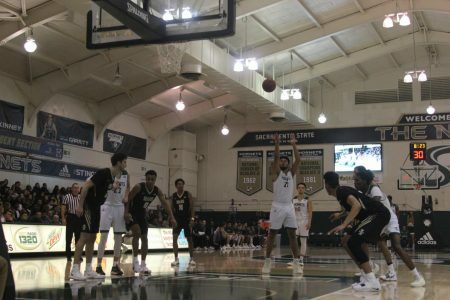 Sac State came into the game Saturday with momentum following a 65-61 win Thursday against Northern Arizona, ending a four-game losing-streak. The Hornets came out in the first five minutes playing well and led 10-7 halfway through the first quarter. 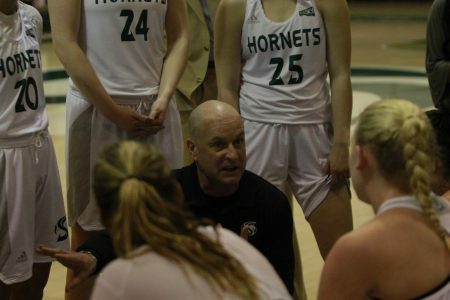 Following the first timeout of the game, the Thunderbirds went on a 14-3 run to end the period as the Hornets got into foul trouble and couldn’t make their shots. 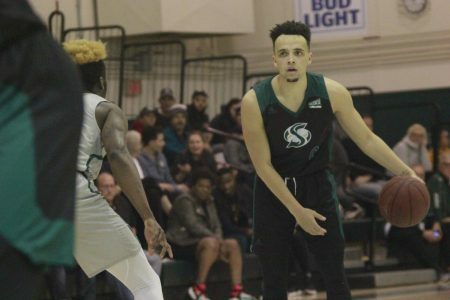 Sac State closed the first quarter shooting 1-14 from the field resulting in a field goal percentage of 23.8 percent (5-21). The poor shooting coincided with fouls as the Thunderbirds (8-11) outshot the Hornets (2-4) from the free-throw line opening up a 21-13 lead. 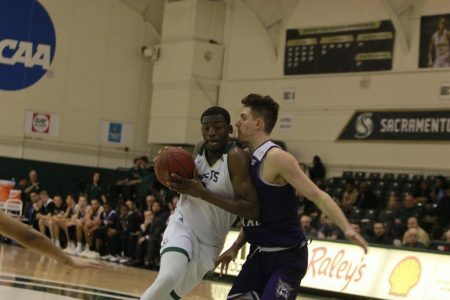 Sac State had four players with two fouls as they trailed by eight entering the second quarter. 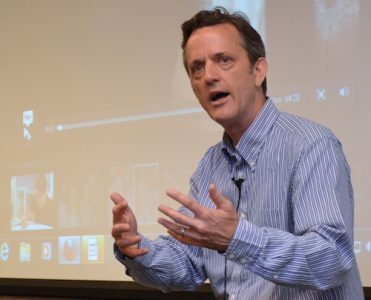 The team knew adjustments needed to be made. 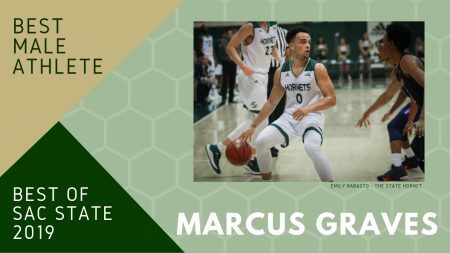 Nicholas helped lead the comeback charge in the second quarter as the Hornets outscored the Thunderbirds 22-14 to tie the game at halftime. 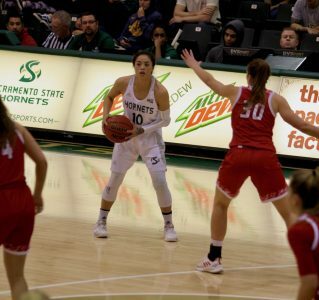 Sac State stepped up their defense and fouled less as they forced Southern Utah to shoot 4-20 from the field in the second period. 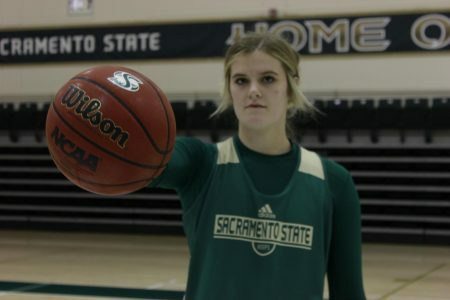 Sac State freshman guard Summer Menke shoots a three-pointer in a 77-76 win against Southern Utah on Jan. 19. 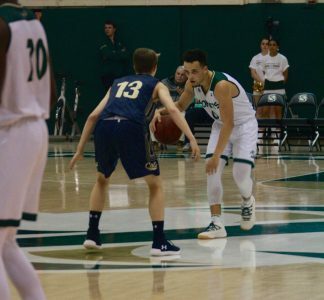 The Thunderbirds shooting woes disappeared in the third quarter as they made 12-20 from the field to outscore the Hornets 27-21 to take a six-point lead into the final period. Through three quarters, Nicholas kept her team in the game with 19 points and 12 rebounds. 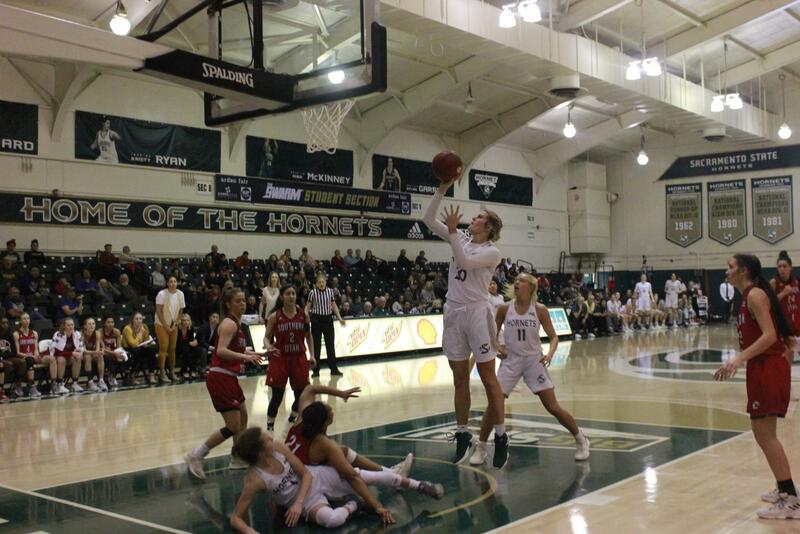 Freshman guard Summer Menke, who had 10 points, was the only other Hornet to score in double-digits in the first 30 minutes of action. On her 22nd birthday, in winning-time, junior guard Hannah Friend came alive. 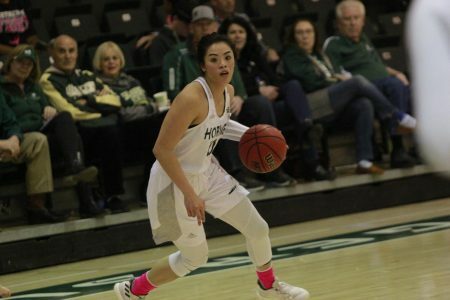 After scoring her team’s first five points of the game, the team’s leading scorer went quiet and did not score another basket – until the fourth quarter. In the final period, Friend scored 12 of her 17 points on 5-8 shots from the field, including the game-winning shot. With 17.5 seconds left as Sac State trailed by 1, freshman guard Milee Enger threw a inbounds pass to a cutting Friend under the basket to set her up for the game-winning layup on her birthday. The Hornets had to get one more stop with 15.6 seconds left to seal the game. Following a missed shot that went out of bounds, Southern Utah had one more opportunity to win with 2.6 seconds left. To put icing on the cake, Nicholas completed her career day with the game-ending play as she deflected the inbounds pass to center court where Friend controlled it as the clock ran out. Nicholas had a game-high 22 points on 10-17 from the field and set a new career-high with 20 rebounds (10 offensive), leading her team to the win. It was her second consecutive double-double. With 10 offensive boards, the junior forward kept up her pace as one of the best offensive rebounders in the country. She currently ranks No. 8 in the nation. 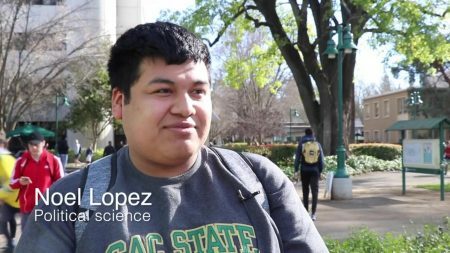 Sac State now go on the road for two games at Idaho (7-8, 4-2 Big Sky) and Eastern Washington (4-11, 3-3 Big Sky) searching for their first true road win of the season. 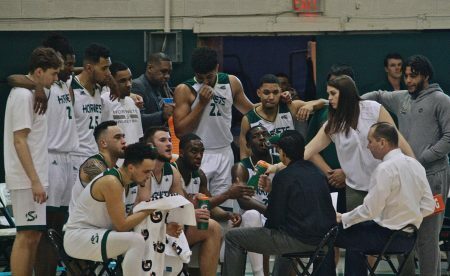 The Hornets have gotten two wins away from the Nest so far this season against Illinois and Hampton but both came in tournaments played at neutral sites. 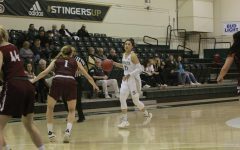 The Hornets return home to the Nest Jan. 31 at 7:05 p.m. seeking revenge against the Idaho State Bengals (10-6, 5-2 Big Sky) who defeated the team 73-43 on Jan. 12.